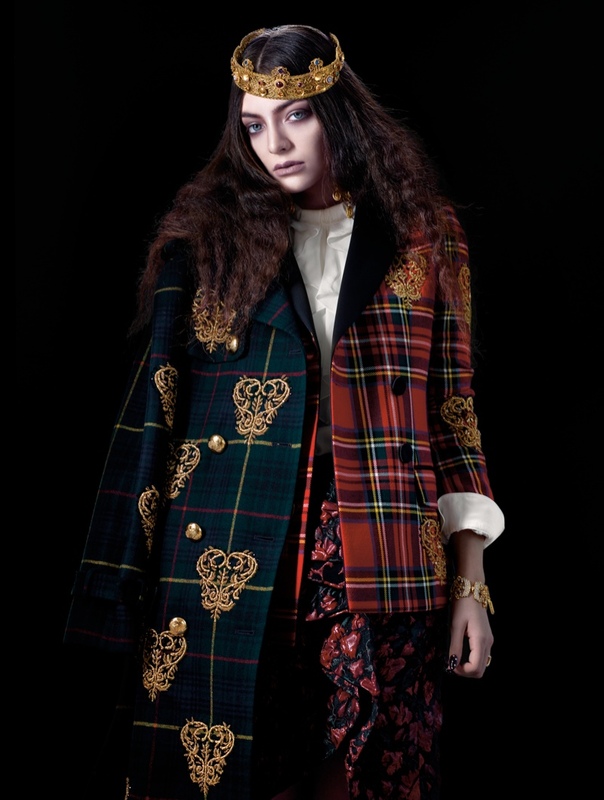 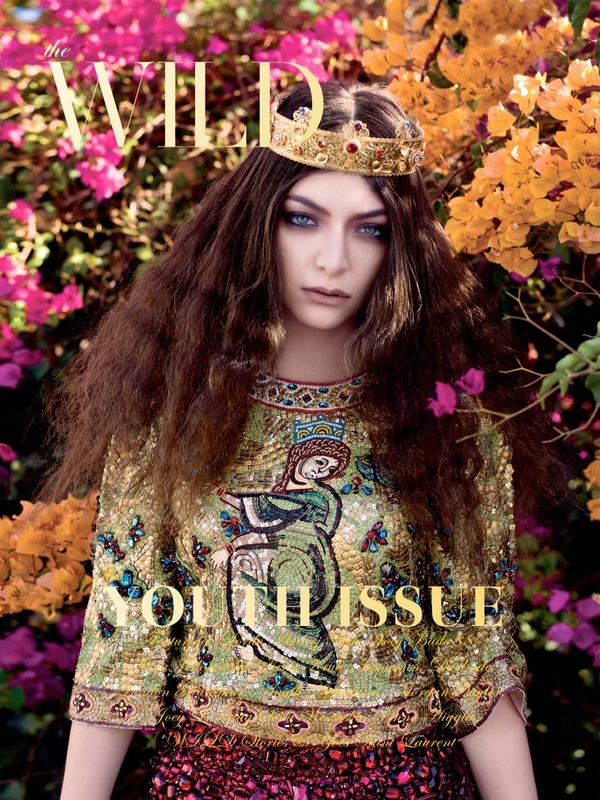 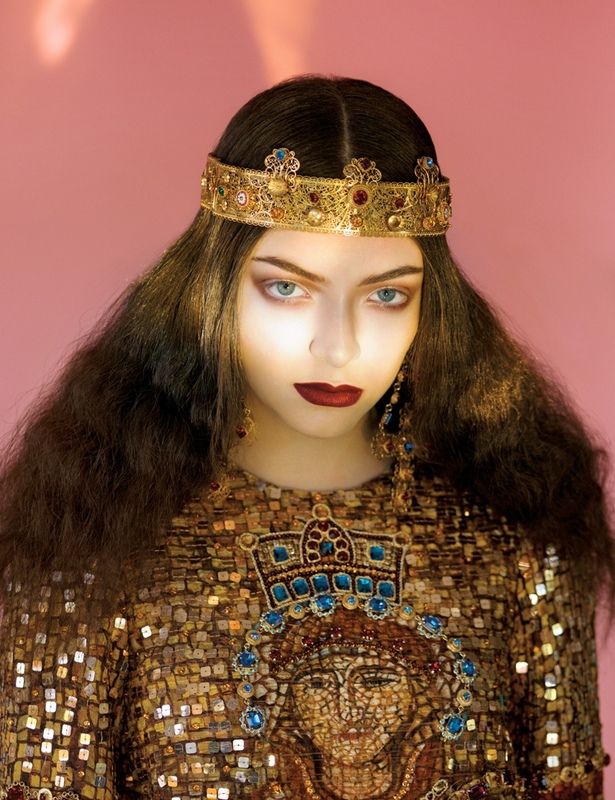 Pop Royalty – Singer of the smash hit single “Royals”–Lorde–is looking quite regal herself in the cover story of The Wild Magazine’s Youth issue. 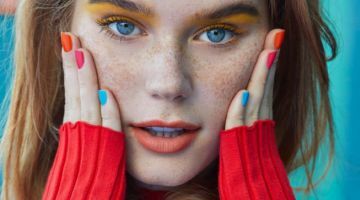 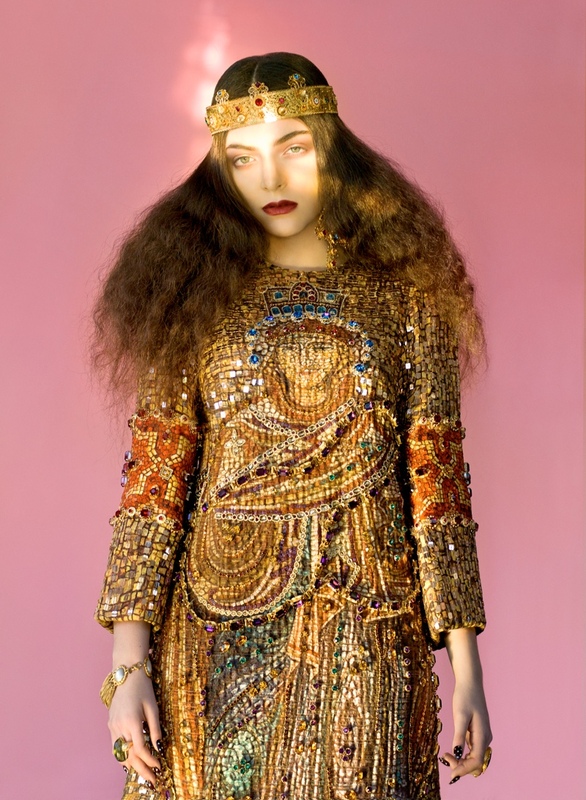 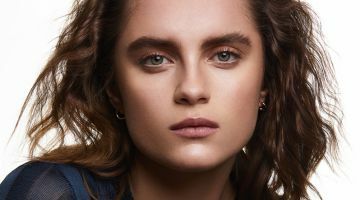 The New Zealand teenager poses for Stevie and Mada in embellished style including crowns and ornate dresses from Dolce & Gabbana and more designer labels. 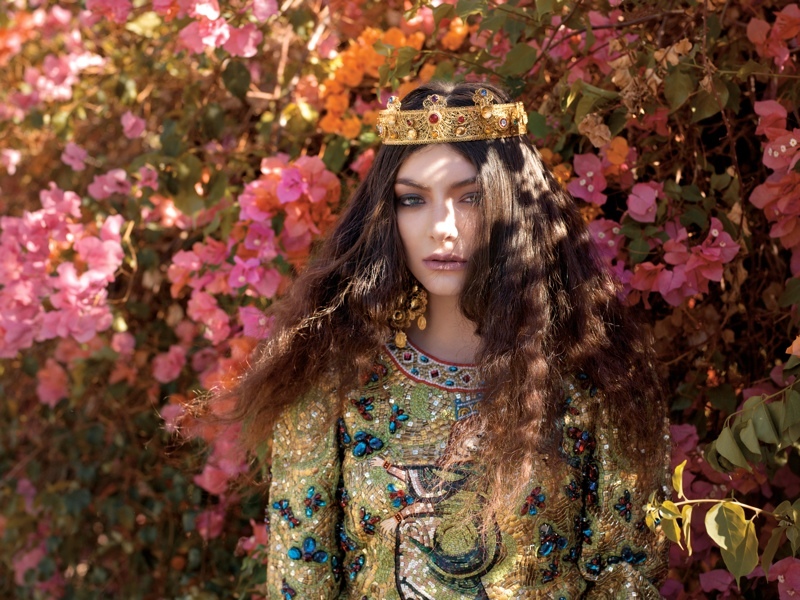 Stylist Johnathan Lawhorne dresses Lorde while makeup artist Jo Barker and hair stylist Kristin Heitkotter work on beauty.